Oops! An old favourite, a couple of one-offs and some curiosities. It's to make up for not having been along the Bermondsey Beer Mile for months.... And anyway, I just happened to be passing The Good Wine Shop in Kew village, where they've just added Beavertown and Fourpure to their craft range. Did the Bermondsey Beer Mile for the first time, yesterday. Thoroughly enjoyed it. Best brewery for me was Brew by Numbers. 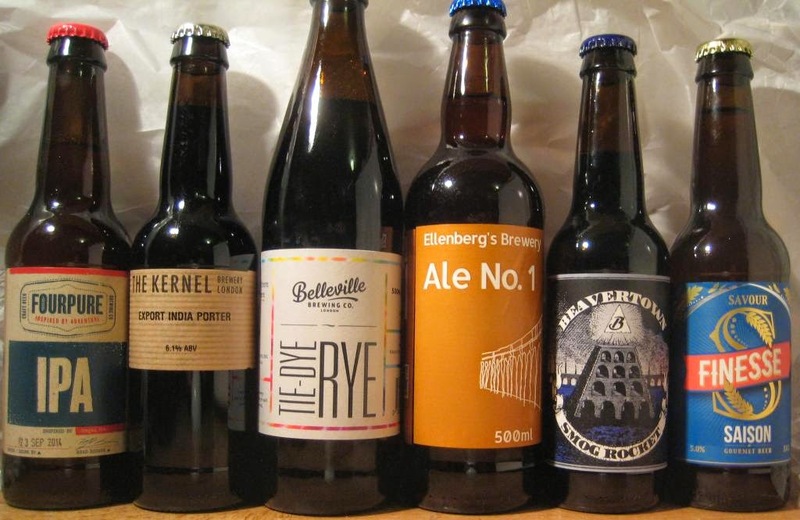 Kernel was packed, so bought some bottles, rather than queue for ages for draught. Nice to report all breweries busy.